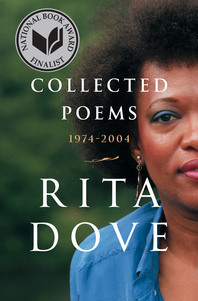 Poet Rita Dove talks about her Collected Poems 1974-2004, published by W.W. Norton. Then, we honor our Thanksgiving tradition of airing Marge Bruchac’s true story of Thanksgiving and a reading of Francesca’s story, The Food Philosophe. Rita Dove is one of America’s most celebrated poets. The youngest person, first woman and first African American to serve as US Poet Laureate — from 1993 to 1995, she is the author of a prolific body of work. Now she’s brought together the first thirty years of her poetry into the volume, Collected Poems 1974-2004. It includes her most famous work Thomas and Beulah, a collection of poems loosely based on the lives of her maternal grandparents, for which she received the Pulitzer Prize in 1987. Dove talks about the collection and about her experience of looking back over three decades of her evolution as a poet. Thanksgiving is a day for feasting with friends and family. One of the most memorable feasts I ever attended happened when I was living in southern France back in 2001. The French, of course, don’t celebrate Thanksgiving, but there are always plenty of other occasions to celebrate with good food and wine. The feast in question was held in honor of the winter solstice at the home of my good friends Michel and his wife, who I call Magali in this story. 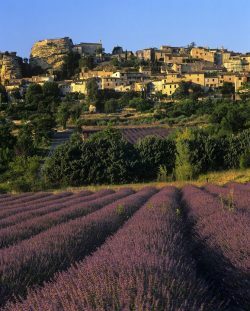 They live in the ancient Roman town of Apt, in a villa with a view of the town and the Luberon mountain range above it. The food was divine, the wine likewise, and the company convivial — and I ended up learning a profound lesson about the French Art of Living. I wrote up my experience in the story, “The Food Philosophe,” or Food Philosopher, part of a longer memoir of my sojourn in Provence. I read a long excerpt from the story here, joined at the end by former Writers Voice co-host, Daisy Mathias, who plays the part of Magali. 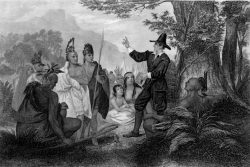 When Thanksgiving rolls around, Native American storyteller and historian Marge Bruchac gets a lot of requests to talk about the first Thanksgiving, when the English settlers got together with the Wampanoag natives of Massachusetts for a feast. The year was 1621. Bruchac co-authored the book, 1621: A New Look At Thanksgiving. She is an anthropologist, historian, and museum consultant. She’s also a performer of Algonkian Indian music and oral traditions. In addition to 1621, she’s the author of other books, including the children’s book, Malian’s Song.